Famous theoretical physicist Professor Stephen Hawking has died at age 76. According to the University of Cambridge spokesman, Hawking died peacefully at his home in Cambridge, England. Hawking was widely regarded as one of the world’s most brilliant minds, he was known throughout the world for his contributions to science, his books, his television appearances, his lectures and through biographical films. He leaves three children and three grandchildren. 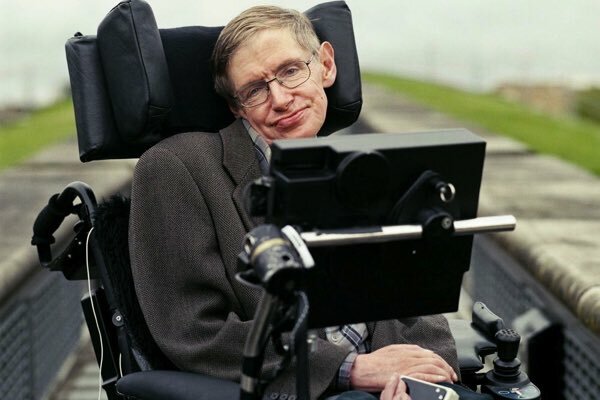 He achieved all this despite his body being attacked by amyotrophic lateral sclerosis, or ALS, when Hawking was 21 while a student, and eventually led to him being confined to a wheelchair and to communicating via his instantly recognisable computerised voice. He stunned doctors by living with the normally fatal illness for more than 50 years. A severe attack of pneumonia in 1985 left him breathing through a tube, forcing him to communicate through an electronic voice synthesizer that gave him his distinctive robotic monotone. His determination in battling with his condition made him a champion for those with a disability around the world.